In the foreground, there are long tables and wooden chairs. People are shown standing around the open air tea garden. Some of the tables are protected by large umbrellas. In the bottom left corner, there appears to be a group performers or musicians. 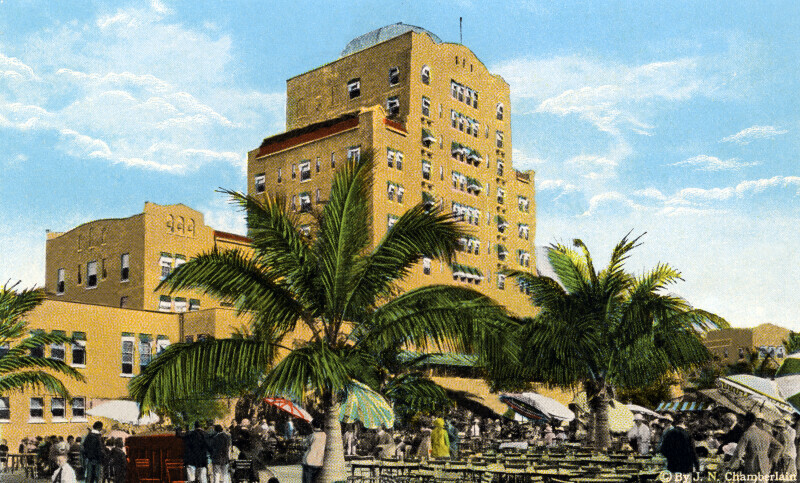 In the background, the Flamingo Hotel can be seen, including the glass dome on the roof of the central portion. The hotel's windows are covered by green awnings.